This is truly one of the best Verandas in River Strand, it is turnkey furnished and beautifully decorated with the "good stuff". As you walk through the door you can see the quality dÃ©cor and how well kept this condo has been. This Desirable 2 bed, 2 bath, + den with spacious kitchen, new appliances, new LTD lighting and more. The living area looks out over the water and the beautiful greens of fairway. Sit and relax on your lanai while you watch the wildlife and the golfers with all new no-see-ums screens on both front and back lanais. 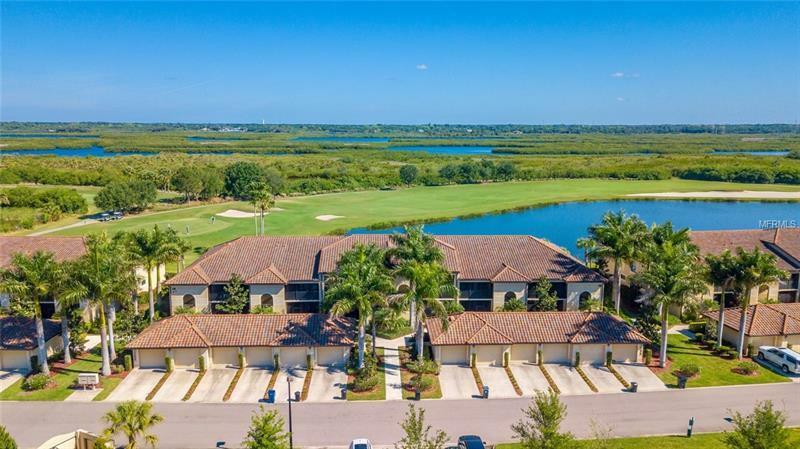 You will have a full Golf Membership, as well as some of the best amities in the area from resort-style pools to state of the art fitness center, tennis and more. Last, if you are looking for and investment this is the one, the seller has guest that would like to rent for future years Jan - March.